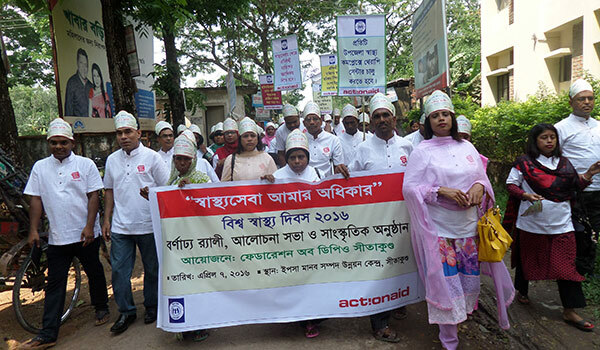 YPSA and Federation DPOs of Sitakund jointly observed World Health Day’16 at Sitakund on April 7, 2016 with the Support of Actionaid Bangladesh. 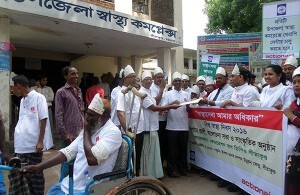 This day was observed with special slogan “To Get Health Services is My Right”. 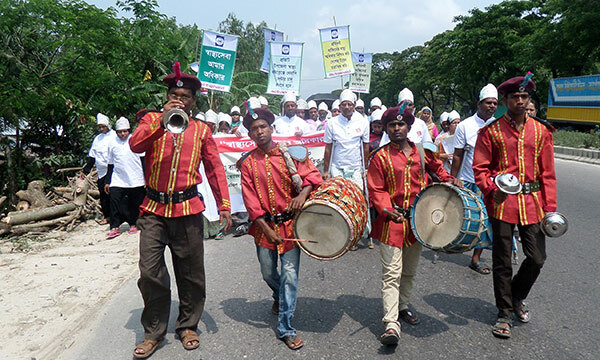 Colorful rally, memorandum submission to UHFPO, discussion meeting, cultural program and press briefing with the local Journalist were arranged to mark the day. Mr. Dr. AHM Abdul Momen, Upazilla Health and Family planning Officer (UHFPO) of Sitakund has inaugurated the rally from in front of Upazilla Health Complex. . After the rally, a discussion meeting was held at the YPSA HRDC Sitakund. Mr. Nazmul Islam Bhuiyan, UNO of Sitakund was the chief guest of the meeting and the meeting was presided over by AHM Abdul Momen, Upazilla Health and Family Planning Officer (UHFPO) of Sitakund, Chittagong. The memorandum and keynote paper on “To Get Health Services is My Right” were presented by Mr. Joinal Abedin, Finance Secretary of Federation of DPOs, Md. 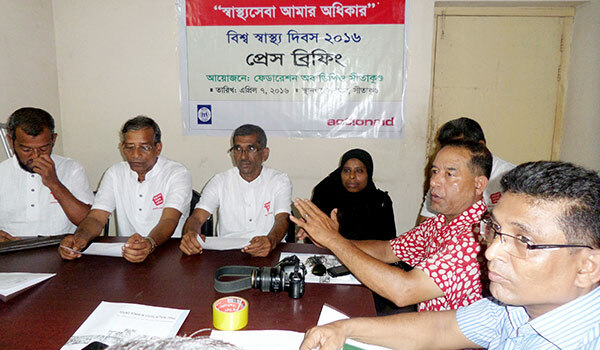 Mahabubur Rahman Director (Social Development) of YPSA, Khairul Islam Project Manager of Actionaid Bangladesh, Zakia Rahman, Program Officer of Actionaid Bangladesh and Sah Sultan Shamim, Station Manager of Radio SagorGiri were present as special Guest. Federation President Mr. Babul Deb nath delivered the welcome speech in the Meeting. Mr. Samsul Alom, Mr. Nur Nobi, Jesmin Akter and Nurbanu have delivered their speech on behalf of Federation. After the discussion meeting Federation organized a cultural Program at YPSA HRDC. YPSA and Federation of DPOs arranged Press Briefing with local Journalist at Sitakund Press Club. Mr. Forkan Abu Staff Reporter of Daily Jugantor, Mr. Forkan, M Hedayet Staff Reporter of Daily Karnafully, Mr. Sekandor Hossain Staff Reporter of Daily Samakal, Mr. Abdullah Al Faruk Staff Reporter of Daily Manob Jamin, Mr. Nirdesh Talukder Staff Reporter of Daily Amader Somoy, Khaiyum Chowdhiry, Staff Reporter of CTG Times and Salauudin, Staff Reporter of Mohona TV. 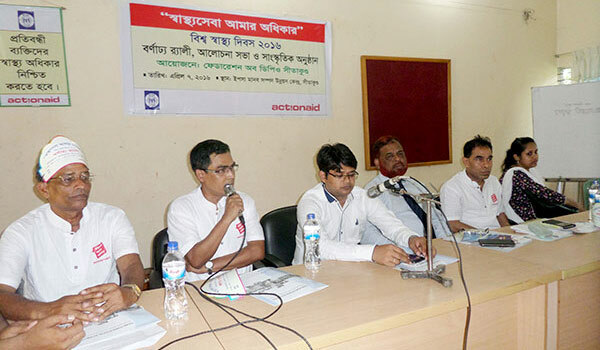 Action Aid representative and Federation members were present in the Press briefing. Mr. Newaz Mahmud, YPSA has moderated the discussion meeting and Press briefing program.